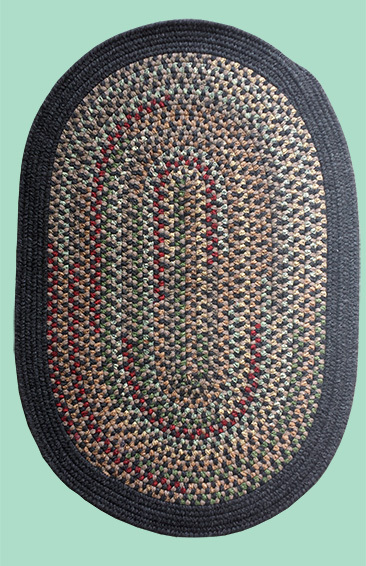 Minimum quantity for "2'x3' Oval Mayflower Braided Rug" is 1. Our latest run of 2'x3' Mayflower Braided Rugs are made from a combination of dark grey and fawn alpaca rug run. The outer edge is a dark grey alpaca yarn with the fawn and grey braided throughout the middle of the rug. The interior alpaca braid is combined with recycled colored cotton fabric left over from other projects giving it just the right amount of color and contrast. This design is a limited run of 6.